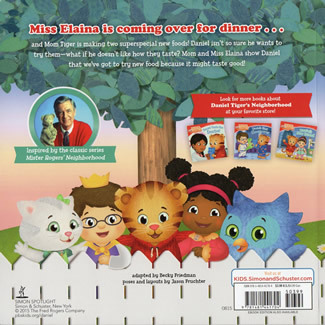 Miss Elaina is coming over for dinner and Mom Tiger is making two superspecial new foods! Daniel isn't sure he wants to try them -- what if he doesn't like how they taste? 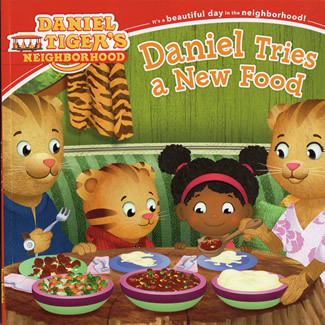 Mom and Miss Elaina show Daniel that we've got to try new foods because it might taste good! This book is based on the storyline from Episode 116b.